Gardening is contagious. When people come over and see our garden, they say things like, “I could probably do this at my house.” It goes on from there. I find myself sharing insights, putting random seeds in soils and working in other people’s gardens. My mother calls me for progress reports. We’re planning an expansion to new areas and thinking about adding a compost bin and chickens. I’m suddenly a locavore, harvesting collard greens minutes before dining. It’s all too easy even though I spend hours in the garden every week. Maybe this all seems normal to someone, but not to me. This is an extraordinary occurrence. I’m a woman who grew up in New York City, believing that food comes from cans in supermarkets. The idea of fruit growing on trees did not take root in me until my late twenties when I walked around Oakland in late summer, eating from the bounty of the neighborhood. The metaphorical light bulb turned on in my consciousness, and I knew then what I had never understood before—that food grows from the earth. You can laugh, and please do, because I did and still am laughing, but this is a reality for too many urban youth, who like me, have not experienced a food culture unmitigated by mass-produced and commercially-driven enterprises, packaged in cellophane and built to last. So it is with this charge that I dutiful show people pictures of things growing in my garden, and when possible, share its bounty. I snap snow peas off the vine, offer one and eat the other warm from the sun because I know from experience that the caterpillars won’t wait either. 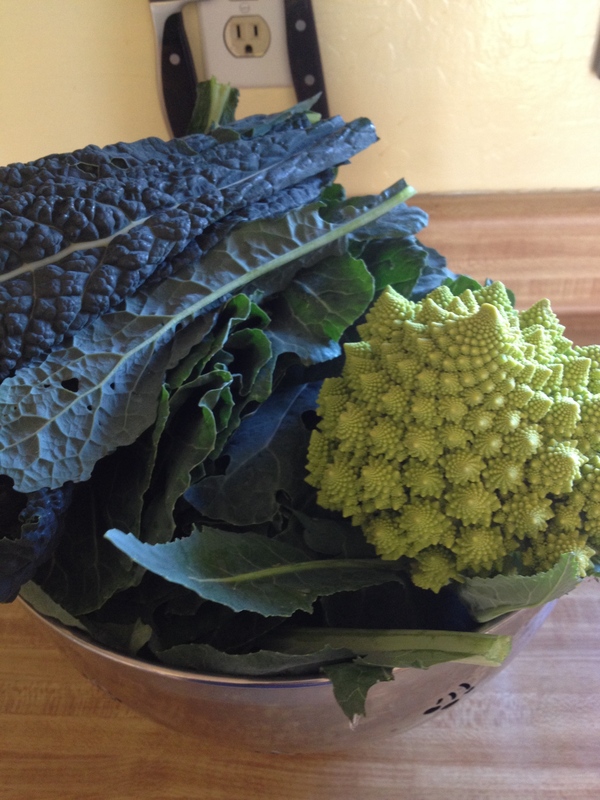 I bake delicious homegrown vine-ripened blackberry-laden desserts, sauté garden-fresh collards, juice kale for my friends and bring a just-cut cauliflower to a dinner party. We have choices that nourish us. I want two things now. The first is to share my excitement, knowledge and passion for gardening with others, which is no surprise since I am a teacher. The second is to share this magic with my community. How to do both is slowly becoming clearer, more certain. 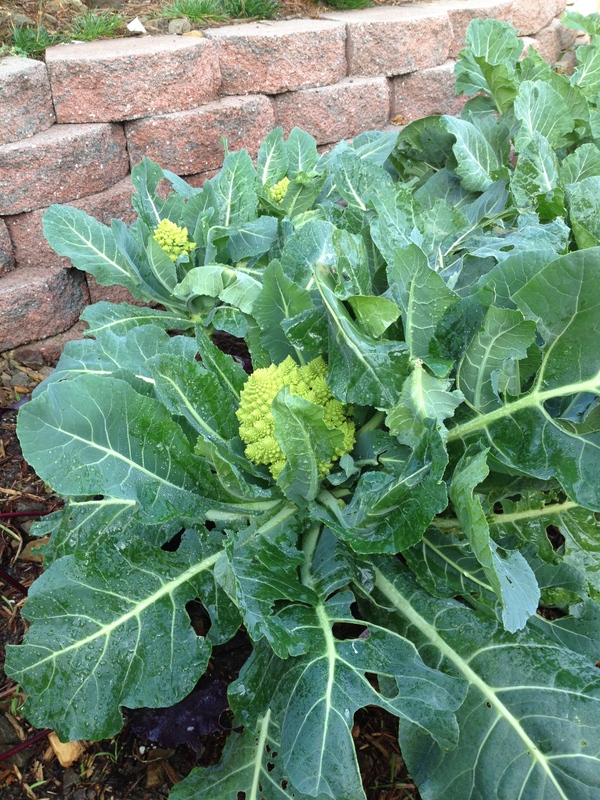 Many of my garden experiments are instinctual and daring. Soil quality in our yard varies tremendously from rocky to claylike to dusty. The sun is intense all day in one corner year around, while it shifts seasonally left of center. When something doesn’t look right, I make adjustments. For example, pests attacked most of the beets in the first bed we planted in late summer; they had grown crowded and knotted, nothing like the carefully spaced seedlings I originally put down. I decided to transplant them to a lower bed and to clear out the infestation as much as possible. After uprooting bunches of them, I worked a new dry bed into small sections and unraveled the beetroots that had grown twisted together. Within weeks, the new bed was lush green and burgundy with every indication that the transplants were thriving. I had a new problem owing to a minor change. I hadn’t mulched the new bed as I had done with my initial plantings. Now I have a generous weed problem that keeps me attentive and reflective. No one told me I could do this. I just tried it. I’m like a mad scientist with a shovel and chicken-manure compost. Those beets look about ready to eat. As I water the garden, Mr. Hummingbird supervises the care of the Lilac. He knows that one’s for him. Lessons learned in the garden are easily shared intergenerationally. 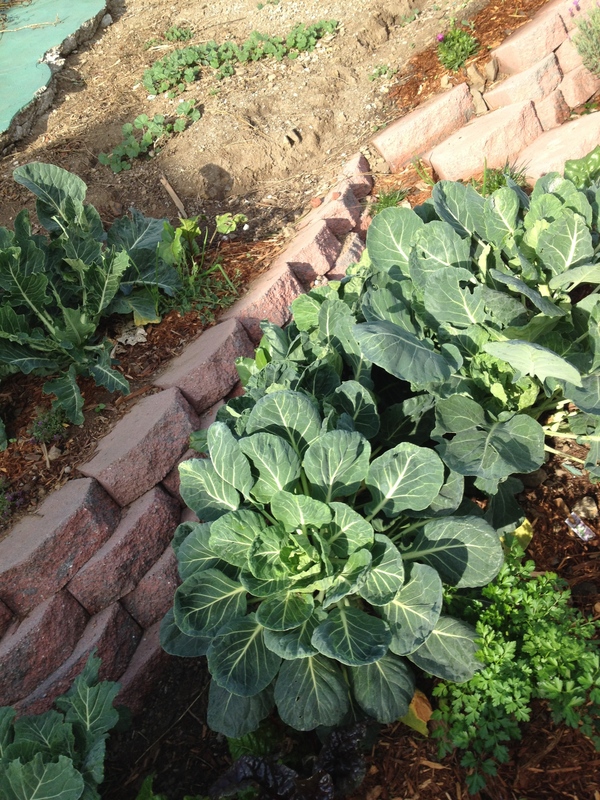 When I helped some friends start a vegetable plot in their garden several weeks ago, I made sure to recommend mulch. These are the lessons that can be shared from observation, trial and errors. My little expert preadolescent gardening friends, twin daughters of fellow urban gardeners, recommend that we release ladybugs at night and get them a house to increase retention. I listen carefully to their wisdom and ask questions; after all, they’ve been gardening all their lives. I weed, plant and water with my eight-year-old friend. I know she understands the land better than I do already. One day, if all goes according to plan, she’ll eat avocados from my yard. They’re her favorite. There are other valuable lessons to learn from gardening. Our distinct San Francisco microclimate is a good teacher. A longer growing season also means cycles that aren’t as clear as a traditional spring-planting and fall-harvesting ones. 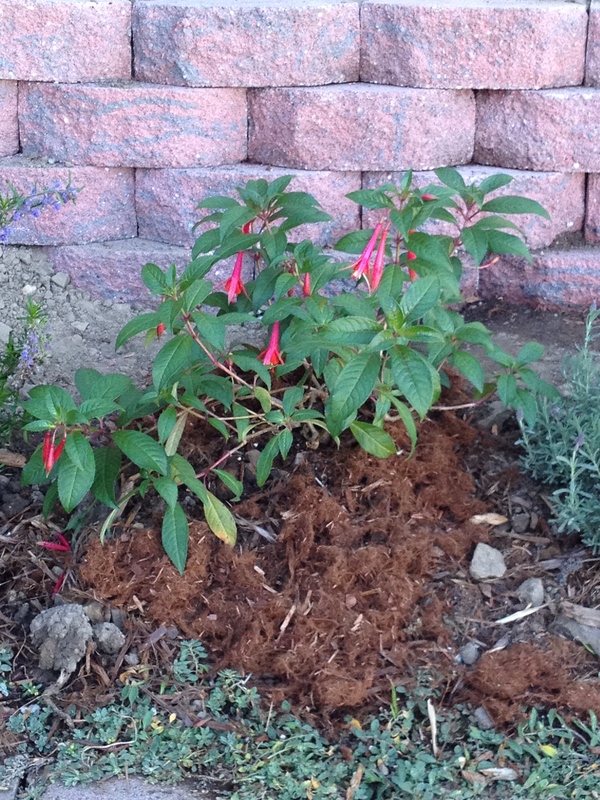 The latest cold spell took out several lovely perennials, including a blooming fuchsia. I was surprised and saddened by the death. I would have taken action against the frost if I had anticipated its demise. The lantana and the fuchsia had both been thriving, now they have withered and died. Our dark leafy greens can weather it all, but delicate blooms favored by butterflies, bees and hummingbirds need to be protected during periodic cold fronts. Our dry, sunny and cold winter does not nurture the earth, especially when one considers there is no dormant cycle. I’m learning to pay attention to new kinds information. 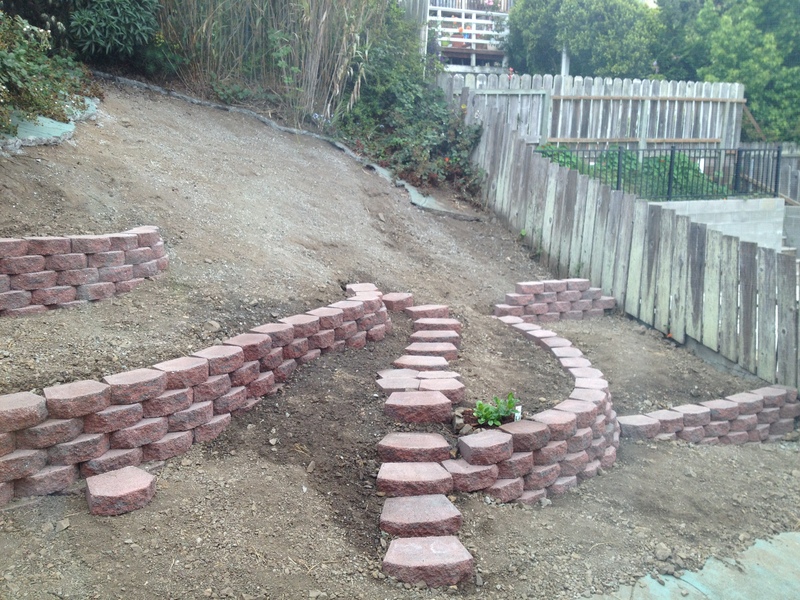 Also, one feels and understands drought intimately when gardening. How does one bed a blooming garden? Compost, mulch and water until the rains come. Pray for rain. While we continue to expand the garden, breaking and carrying out decades-old concrete, driving questions emerge. Can I really live off my land? Is this a viable option? Will this garden sustain us? Maybe with some chickens and more diversity—we’ll plant carrots and beans this year—we can make it last. We take fewer visits to the market, but produce is cheap. Maybe this year I’ll learn to can and make jam. I’m not going back to the land, because I didn’t come from it, but I’m claiming something even more powerful and magical: growing a life in my home, giving an entirely new connotation to the concept of land ownership. I’m now the steward of my little plot, responsible to a pair of mating hawks, resident humming birds, our local squirrel and some prowling raccoons and cats, among the numerous life forms we witness on any given day. Dead bees break my heart and crawly bugs encourage me. It would be wonderful for this ecosystem to sustain us all for years to come. This is possibly a legacy that redefines local and organic food. I know what’s in it because I know what I put into the ground. I’m not a farmer, am I? I’m too deeply in love with the smell of wet dirt not to be. I now dream of grapevines and fruit trees, ferns and broccoli, strawberries and dahlias. What did I dream of before? Your garden is gorgeous! 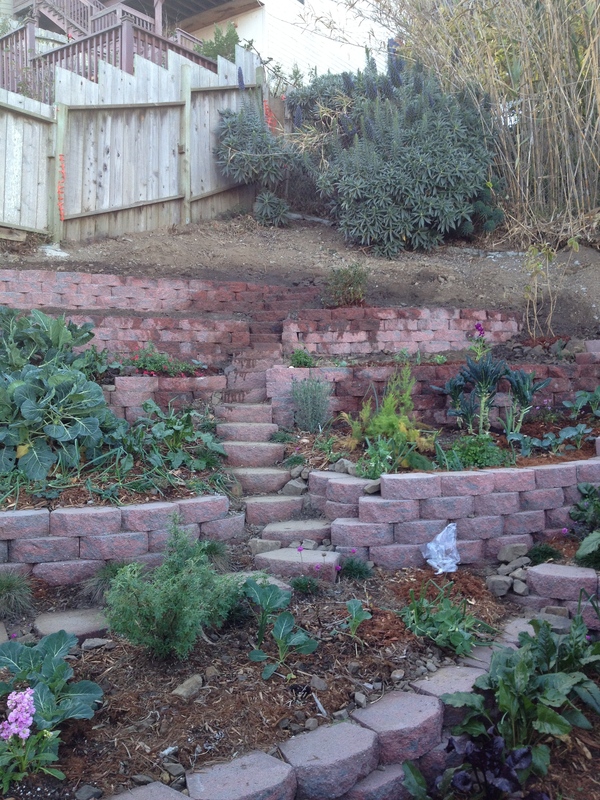 You two have done a remarkable job going from a sloping, concrete backyard to a lush, food-producing field. Beets are tricky because their seeds are composite–lots of beets in one little space. But eating little thinned beet greens is a bonus! 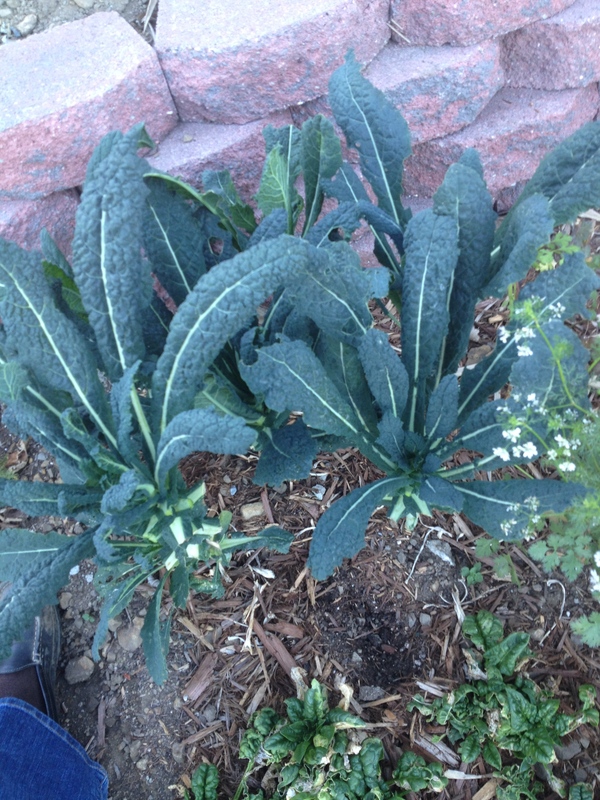 I wonder whether our new favorite kale, the tender and curly Winterbor, would do well there? We have it under row cover in Colorado and are still eating it. 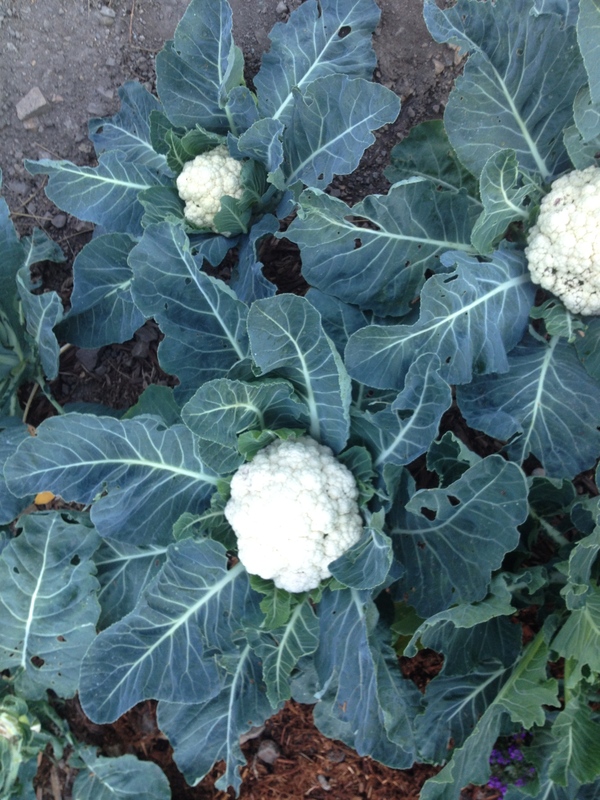 Thank you for this garden tour–and happy eating! Thank you so much! We feel blessed. We’ll look for the Winterbor. BTW, we just juiced some beet greens this week. Yummy! Also, I’ve been reading your book. I’m inspired and deeply moved! What a gift you have, Kayann. I’m so glad you like it. I think the stories go right along with your garden. Feeding ourselves and others makes our lives richer. We had winterbor for dinner. I love finding it growing under row cover after the snow’s melted. Like I say in the book, Thoreau had it right when he said gardening was “making the earth say beans instead of grass.” Enjoy those beet greens! It’s so inspiring how you approach gardening with such reverence! Your words remind us that to cultivate a garden is to cultivate the soul. Thank you.